Hiring professional insulation contractors is a must if you’re thinking about improving the insulation in your home. Having someone knowledgeable who can walk you through the numerous considerations will help ensure you’re making the right choices for your home. For expert advice and installation services, turn to the professionals at 31-W Insulation. We’ve been helping homeowners with their home improvement needs in Nashville, Tennessee, and throughout the southeastern U.S. since 1972, so we are well equipped to assist you with your new insulation project. Types of insulation – 31-W offers batts and rolls, open-cell, and closed-cell spray foam with different R-values or insulating power, all from top brands. We can help you determine which type is right for your home. Where to insulate – From attics and walls to basements and floors, there are many places in your home where we can install insulation. Our contractors can assess your home’s current condition to find out where it’s needed. Thinking about installing insulation in your home can be overwhelming. But at 31-W, we make it easy for you. Our insulation contractors provide the technical knowledge and skillful installation services you need to start enjoying a more energy-efficient home. 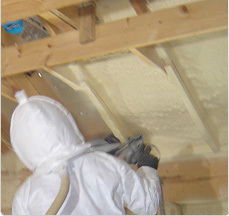 To learn more about our insulation services in Nashville, TN, contact 31-W Insulation today.